TV with Thinus: BREAKING. TopTV loses 3 further TV channels as Turner Broadcasting immediately yanks the Showtime, Silver and Star! channels. BREAKING. 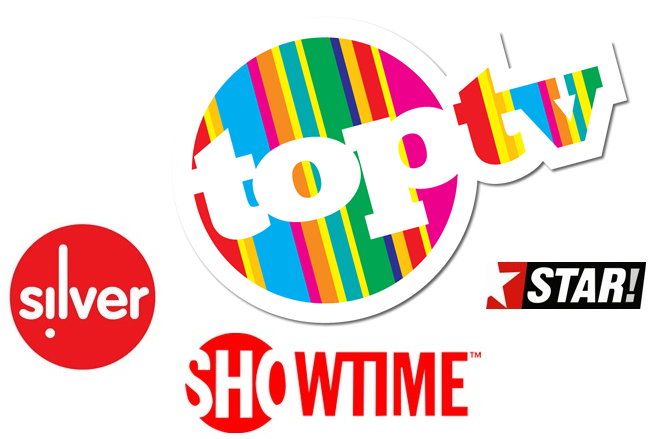 TopTV loses 3 further TV channels as Turner Broadcasting immediately yanks the Showtime, Silver and Star! channels. It does not look good for On Digital Media (ODM) and its TopTV platform: TopTV is losing another 3 TV channels within days as Turner Broadcasting System (TBS) is yanking its Showtime, Silver and Star! channels from the struggling South African pay-TV service. The triple whammy loss of content from its bouquet is the latest barrage of bad news to hit TopTV which has faced a constant uphill struggle with losing channels during the whole of 2012 and even before. TopTV is not saying why Turner Broadcasting System is immediately removing Showtime (TopTV 111), Silver (TopTV 112) and Star! (TopTV 179) other than that it's happening for "operational reasons" - the vague non-descript reason airlines give to passengers for a litany of problems they do know the reason to, but don't want to be specific about. With no reason given, it's all but certain that South Africa's TV industry will speculate that the channels are being removed because Turner - which is definitely knowledgeable about TopTV's problems and a company in business rescue since October - no longer has faith in the platform with the resultant implications which arise once a company is placed in business rescue. TopTV might not be able to pay its debt or money owed to Turner in exchange for getting the channels. Turner might possibly be afraid that it won't be paid and now wants out of carriage agreements to try and cut potential financial losses should TopTV not be able to exit business rescue in the way in which the 1time airline which recently folded and which also entered business rescue, was unable to recover. TopTV says Turner Broadcasting System (which also runs Boomerang, CNN International, Cartoon Network and TCM on rival MultiChoice's DStv) "recently informed" TopTV that the 3 TV channels will suddenly be discontinued from 31 December. Showtime was a movie channel. Star! was a general entertainment and entertainment news channel with a strong emphasis on Hollywood and Hollywood news and the only way South African viewers could see the daily entertainment news show Showbiz Tonight (produced by CNN). Silver was South Africa's only real cinema nouveau TV channel with some art house independent movies from a library catalogue of titles from mostly the 80's and 90's. Turner has been piping all three of these TV channels into South African from Scandinavia through the Scandinavian television broadcaster NonStop Television which is part of the Turner Broadcasting System. TopTV is now again telling subscribers that the ailing South African pay-TV operator - which is urgently looking for local investment and backers with deep pockets - will once again begin the process of looking to find replacement channels - a process TopTV has had to do several times just this year. "The supplier of the three affected channels, Showtime, Silver and Star! has taken the decision to terminate the African distribution of its channels for operational reasons, and this decision is thus beyond the control of TopTV," says the Woodmead based pay-TV operator in a statement issued late on Wednesday. Last month TopTV lost the 1KZN TV channel after the community TV station jumped from TopTV to DStv, quickly followed by Manchester United TV (MUTV) which suddenly disappeared without warning and terminated its contract with TopTV with immediate effect because it no longer wanted to be on the platform. TopTV lost Hi Nolly and One Music in November 2011 and 2012 started with TopTV losing Current TV in March. The ongoing loss of channels means that TopTV's product and channel offering to subscribers are not expanding like MultiChoice's DStv offering, since TopTV's newly added channels - which happens after a lag period - only serve to replace channels which had been lost. TopTV added no new big commercial TV channels in either 2011 or 2012. "TopTV is grateful for the continued support of its loyal subscribers during this period, and would like to reassure them that the company is working hard on a renewed product plan for the New Year," says TopTV about the latest channel loss crisis facing the company. Ian Woodrow, TopTV's vice president for channels says in the statement that "although this comes at a challenging time in the company's development, with a business rescue process currently underway, TopTV is confident that it will be able to secure alternative channels early in 2013." "In the interim, and until these replacements are found, we will endeavour to secure additional channels and programming that will be of interest to our subscribers," says Ian Woodrow. With Discovery Networks International which started the Discovery Science, TLC and Investigation Discovery on TopTV but suddenly made TLC and Investigation Discovery also available on DStv a year ago thereby diluting TopTV's exclusive product value offering (the great Discovery Science is still only available on TopTV only), TopTV has only one remaining strong and unique channel distributor left on its ailing platform: Fox. Fox International Channels Africa (FIC Africa) supplies the Fox Entertainment, FX and Fox Retro channels to ODM which can only be seen on TopTV. FIC Africa, through Fox Entertainment and FX has brought and continue to bring South African pay-TV viewers who are subscribed to TopTV great series and exclusive TV properties like The Walking Dead, Hell on Wheels, Falling Skies, Copper as well as other shows very close to the American broadcasting dates. This excellent programming and international distribution strategy adds big value to TopTV's platform since these remaining unique channels have exclusive content which are rolled out quickly and can only be seen on TopTV in South Africa. ALSO READ: Turner aint talking: How terrible that Turner isn't willing to talk to TopTV subscribers and say why they're suddenly yanking all their channels.